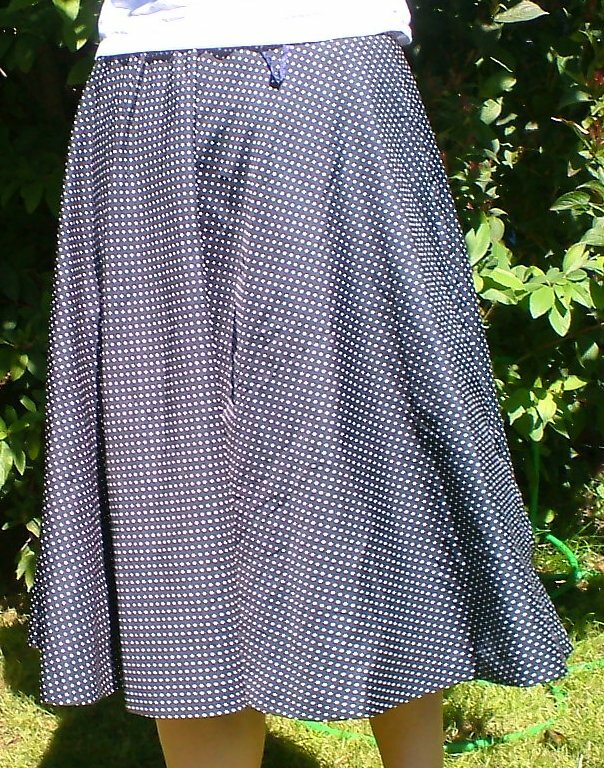 Vintage 60s black with white polka dots full silky skirt. 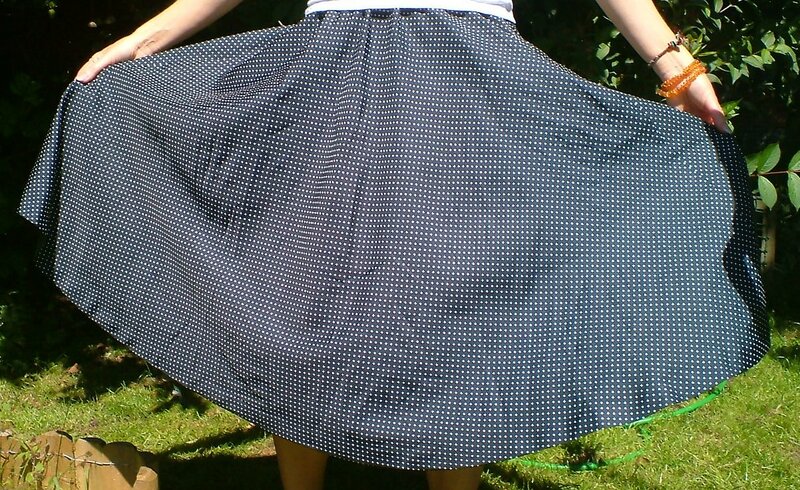 This skirt dates from the early sixties. It's been professionally made, I believe (no maker's label), and is fully lined. 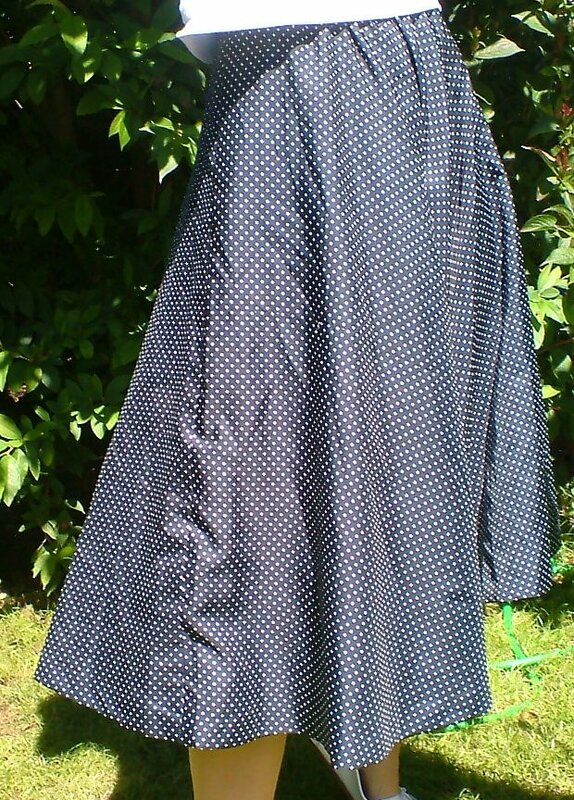 It's made from a soft, silky fabric, black and covered with little white polka dots. It's very full - a half-circle - and very swishy! Length is mid-calf. 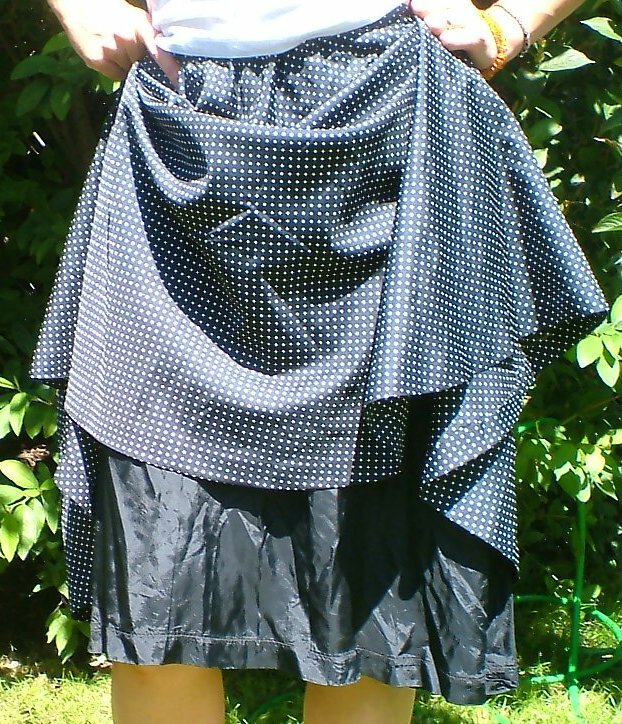 It's lined with black satin and fastens with a zip and hook and eye. It is in excellent condition, with some fraying to the facings but no visible marks or damage to the fabric as such. 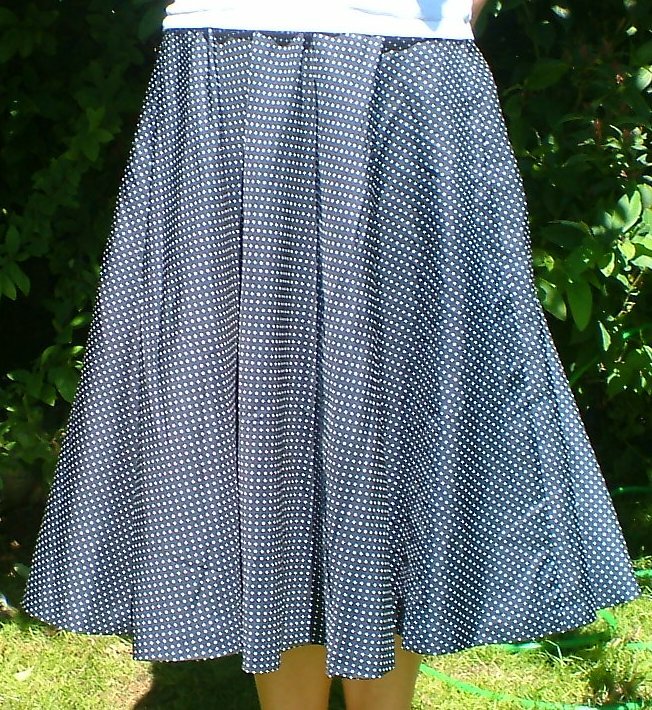 It measures approximately 28 ins/71 cms at the waist, length 29 ins/74 cms, circumference of skirt a whopping 132 ins/252 cms.